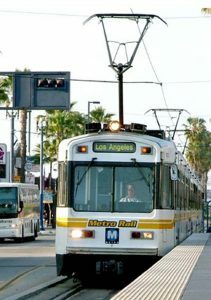 AVA provided Architectural Design Services for the Los Angeles County Metropolitan Transportation Authority (LACMTA) expansion of the existing Division 11 Blue Line Light Rail Maintenance Facility. AVA was part of a Construction Contractors Design Build Team, assigned to work in the designer’s team. This expansion had to be accomplished during ongoing rail maintenance facility and yard operations. This was an expansion of an existing maintenance facility for the Los Angeles-Long Beach Light Rail Blue Line. The facility expansion includes the paint shop, storage track Overhead Catenary System (OCS) system and other ancillary facilities, along with additional trackage for increasing the train holding capacity of the yard. The design team visited the site to review existing site conditions and Metro Blue Line operations to understand the best way to proceed with the projects. The design concept addressed construction sequencing diligently to ensure smooth delivery while ensuring safety in the most stringent manner. Site access for removal of debris and delivery of materials was carefully planned in order to keep the construction schedule, as delays would be disruptive and expensive. All new construction work was carefully staged to avoid disruptions to the on-going operations and maintenance of the system.